Elephant Bedroom Camp, Samburu National Reserve, Kenya. Set on the banks of the Ewaso Nyiro River in Samburu National Reserve surrounded by Doum palms and other beautiful indigenous trees and shrubs. Elephant Bull, Jao Concession, Okavango Delta, Botswana. Jao offers an excellent all round Okavango experience, with game drives, mokoro excursions, short guided walks and boating available. Chongwe River House wins The Good Safari Award for the Best Safari House in Africa AGAIN! 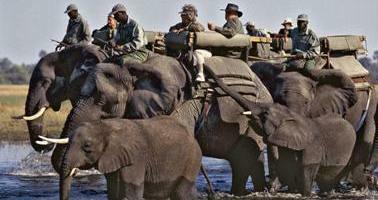 Game viewing is done from a vehicle in either the Lower Zambezi National Park or from a boat on the Zambezi. Canoeing, walking and fishing are also offered. African Lion - The predator everybody wants to see on Safari! The lodge is surrounded on all sides by water, but for a 100 yard wide section where the river has not quite joined up, to become a true island. Table Mountain, Cape Town, South Africa. Cape Town is a city of culture, built on a history that reflects in the architecture, cuisine, music and dance. An ideal holiday destination throughout the year. Lake Kariba | Matusadona N.P. We ONLY Market REASONABLY Priced Botswana Safaris!! With the ever increasing rates of certain camps and lodges in Botswana, (making such camps only affordabe for super wealthy), we have decided to stop marketing such camps, and in future focus on marketing only reasonably priced safari camps. Some camps have now become so expensive, that there is no reciprocity between value given and value received, which will now be the deciding factor in marketing Botswana Safaris! Visit www.theadventuretravel.company and see our wide range of adventure travel vacations offered worldwide! From Snow Leopards in India to Jaguars in the Pantanal of Brazil to Polar Bears in the Arctic to Culinary Tours in Greece and Vietnam! 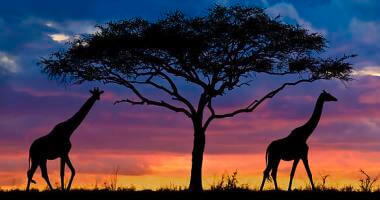 A wonderful combination of wildlife and culture as part of lovely adventure travel vacations! 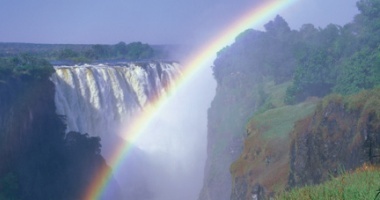 This is an exciting and affordable Safari we put together! Accommdation in Cape Town is at the renowned 5-Star Table Bay Hotel, and the itinerary includes tours of Cape Town, an excursion up Table Mountain, a tour to Cape Point, seeing the penguins at Boulder Bay as well as a full day winelands tour, which entails 3 wine tastings. The safari properties are located in two different areas, with open boundaries to the Greater Kruger Park, ensuring the best game viewing opportunities! Please sign up for our newsletter and special offers! If there’s one thing we love about working with Natural Selection, it’s sharing Africa’s wildlife and wilderness. They also understand, however, that there’s no such thing as a ‘one size fits all’ safari. Different people have different tastes and interests, schedules and budgets, and that’s exactly where their Custom Safaris fit in. A Natural Selection Custom Namibia Safari puts you in control of where you want to go and what you want to see – We work closely with thyem to help you plan the safari of your dreams. You choose your route, camps and lodges, and we’ll put the pieces of the puzzle together to make the journey work. The best part of planning a Custom Namibia Safari is selecting the camps and lodges to stay in. All of their camps and lodges are characterful and just the right amount of quirky, but they also have a myriad of different wildlife and things to do and see! Namibia is one of the planet's most scenic, and undoubtedly its most eclectic, countries. From the apricot dunes of the Namib; to the sweeping, ancient and lonely vistas of the Skeleton Coast; to the bronzed valleys of its interior, Namibia is a photographer's dream. And, with but 1.5 million people sharing 315,000 square miles, Namibia is a good place to be alone. Etosha National Park is both rich and diverse in wildlife-from its famous lion to the healthiest remaining black rhino population in Africa. 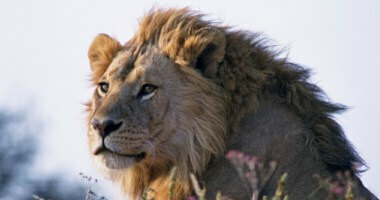 Below are a selection of customized safari itineraries. None are set in stone, and can be tweaked to meet your exact requirements! We do all of the research and planning. We cover every detail. All you need to do is pack your bag and enjoy the special wonders of Africa! We’re very excited about the launch of our new itinerary, ‘A Skeleton Coast and Hoanib Adventure.’ Before the grand reveal, we’ve got a few tweaks to make and a couple of prices to finalise but if you’re interested in travelling in 2018, please contact us for more details. See you in Namibia! Namibia is awe-inspiringly impressive from all angles, but from a small plane, high up in the skies, it’s even more extraordinary. And that’s exactly why we’ve come up with this ultimate Namibian fly-in safari. For seven days, you’ll swap four wheels (almost) for two wings, and travel across Namibia on a series of short flights, so all that’s left to do is sit back, relax, and enjoy the scenery sweeping below you. Your Namibian Flying Adventure begins in Windhoek. From here, you’ll fly over the vast desert-scapes of northern Namibia to the private Etosha Heights Reserve on the edge of Etosha National Park for some serious wildlife watching. You’ll then fly west towards the Atlantic Coastline over the remote Kaokoland area, touching down for a few days to explore on ground-level – and it’s just as spectacular, we promise – before soaring back down south to Swakopmund. If you like your Namibia safaris with an added dose of adventure and a few extra thrills and spills, then we may have found the perfect itinerary for you. This 12-day guided safari combines the iconic highlights of northern Namibia, with three nights under the watchful eyes of the towering dunes and crystal-clear skies at Sossusvlei, before ending at the coastal town of Swakopmund. Indredible value for money! Your choice of dates! Just about every visitor to South Africa wants to see and experience what Cape Town has to offer, as it is said to be one of the most beautiful cities in the world! This safari does it all! - Starting in Cape Town, with a tour to the winelands, followed by a safari in the Greater Kruger Park area. The accommodation in the safari areas is unique - A combination of the luxurious King's Camp in the Timbavati - a luxury lodge within the Kruger Park as well as at Mala Mala Game Reserve - where game viewing is unsurpassed! This safari will leave you with everlasting pleasant memories, and truly a great choice for honeymooners! PROUD SUPPLIER FOR MEMBERS OF THE AMERICAN SOCIETY OF TRAVEL ADVISORS! Situated on the northern edge of the Maasai Mara reserve, Elephant Pepper Camp is an 8-tented camp, hidden away in a prime wildlife area. Elephant Pepper Camp is an original safari camp situated in one of the world’s greatest wildlife reserves, the Maasai Mara. This fascinating eco-system is home to enormous herds of plains game, big cats and elephant as well as colorful birds, small game, riverine wildlife and stunning scenery. Located on the Koiyaki Community Group Ranch in the northern part of the Mara, this semi-permanent camp is nestled in the shade of a natural forest with all the comforts and none of the stress of the modern world. There are eight canvas tents with en-suite dressing rooms, flush toilets and safari showers filled with hot water. The main lounge/dining tent offers family style dining and a help-yourself bar. Activities include day and night game drives in 4-wheel drive Land Rovers, guided walks and bush picnics. The homely atmosphere of the camp is part of its unique charm and the staff are friendly and welcoming. Each day brings a surprise, whether it is a bush breakfast prepared by our camp staff, a night drive or interaction between wildlife. The wildlife is unequalled in all the world. herds roam at will and graze seemingly content, but always on the lookout for predators - Lion, leopard, Cheetah an Hyaena... This is Eden! Sometime between July and October the Mara is host to the great wildebeest and zebra migration, when following the grazing, wildebeest and zebra converge on the lush Mara grasslands in their millions.... Guided walks, night game drives & bush breakfasts are just two of the surprises waiting for you! Saturdays, Sundays and Federal Holidays please leave a message. A safari consultant will contact you the next business day. and for the sole purpose of marketing the service and accommdations of said providers).